Ayo Oke, former director-general of the National Intelligence Agency (NIA), and his wife are no longer in the country, TheCable understands. 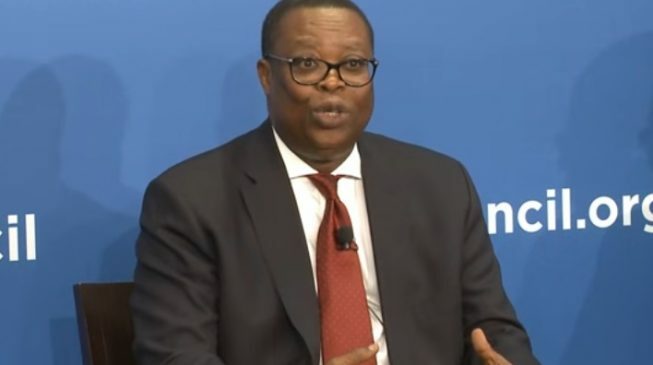 Oke, who was to be arraigned along with his wife by the Economic and Financial Crimes Commission (EFCC) on Friday, left the country last week, sources told TheCable. He is said to be in a European country “for medical reasons”. There are speculations that he may not be around for the arraignment. In April 2017, EFCC said it had discovered $43 million, £27,000 and N23 million stashed in a flat in Ikoyi after a tip-off from a whistle blower. Following reports that the monies belonged to the NIA, TheCable subsequently reported that the agency had collected $289,202,382 in cash for special operations from the account of the National Petroleum Investment Management Services (NAPIMS) at the Central Bank of Nigeria (CBN) in February 2015. NIA said the funds were part of “covert intelligence operations” but there was public outcry that it was a case of looting. A three-man panel headed by Vice-President Yemi Osinbajo indicted Oke and recommended his dismissal, which was effected in October same year. On January 20, 2019, Osinbajo said criminal allegations would be filed against Oke and Babachir Lawal, former secretary to the government of the federation, following a directive from President Muhammadu Buhari. Sources in the intelligence community told TheCable that subjecting Oke to open trial might compromise the nation’s security operations. “Most of the projects financed by NIA from the funds are aimed at gathering intelligence and these things are usually done through cash transactions. Government might have succumbed to public sentiments to treat it as a crime, but there will be dire consequences for the nation’s security operations,” an NIA operative told TheCable.